Boost 3PL Central shipping with ShipHawk’s Smart TMS™. ShipHawk brings 3PL Central automation, data and analytics to supply chains with TMS 2.0™ technology. Empower operations, sales, marketing and customer service teams with powerful, automated 3PL Central shipping software. 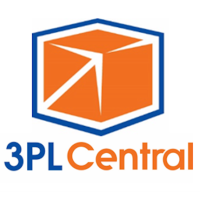 3PL Central provides easy-to-use, Cloud-based warehouse management software (WMS) for 3PLs, public warehouses and warehouse operations of all kinds. ShipHawk’s 3PL Central Shipping Software™ saves time and money with every shipment processed. Fully automate your relationship with all your 3PL Central orders. Get 3PL Central data in real time.